Dog breeder website design services - economical and professional. 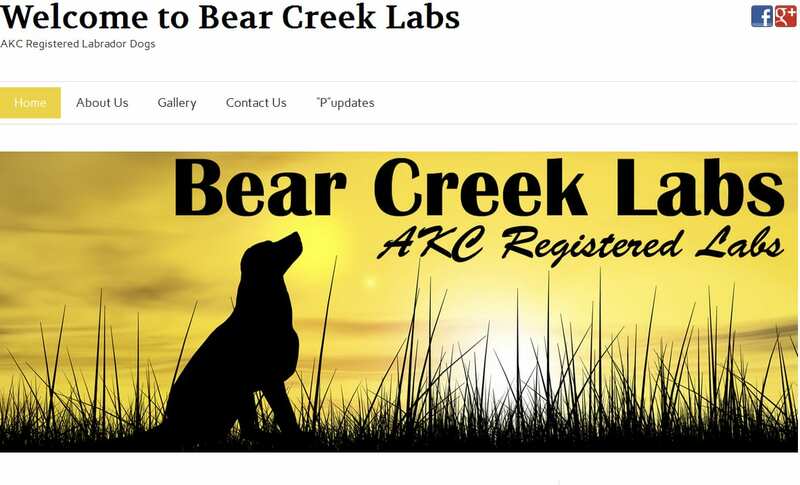 When Bear Creek Labs was referred to us to do their website design for their AKC registered puppies, they were frustrated with the inattention and slowness of the designer they were trying to work with. With their first set of pups being born soon, we got their website up and running within 72 hours. Since then, it has evolved to even more pages. We’ve even created coordinating graphic elements for their Facebook page and have designed their business cards.